SECC (Scottish Exhibition and Conference Centre) has signed a ten-year agreement that will see Compass Group UK & Ireland's Levy Restaurants brand supply catering services and which will also lead to a £6m investment into the site's catering outlets. 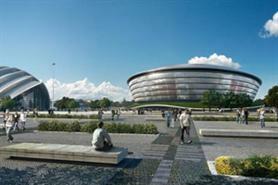 The agreement means that Levy Restaurants will open new oulets across SECC's exhibition halls, conference centre and new live event arena, The Scottish Hydro, which is due to open in 2013. The new contract sees a continuation of the 26-year business relationship between the SECC and Compass. John Sharkey, SECC chief executive, said: "We are passionate about what we do here at the SECC and Compass shares that same passion when it comes to delivering food for the hundreds of thousands of visitors to the venue. "We know that food is a big part of the visitor experience and that Compass is as committed today as it was 26 years ago to providing the best catering options and hospitality across all areas of the SECC."